I have two very interesting (and very different) links to share with you today. The first one is to a research article “Price Reductions have Little Effect on Fruit & Vegetable Consumption by Low-Income Americans.” Basically, even a 20% reduction in price only results in a 0.09 to 0.14 cup increase in eating fresh fruits and vegetables, respectively. Folks, that is NOT very much. 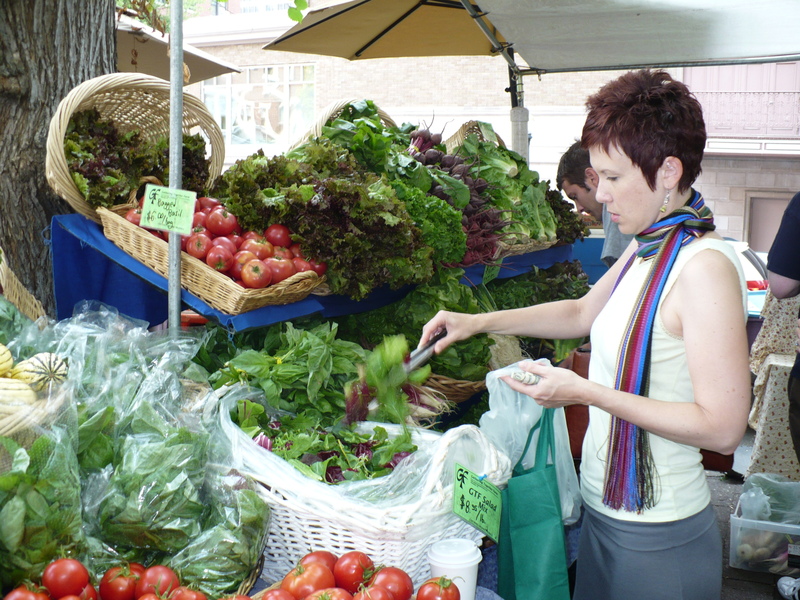 Also important to know, since the WIC program will begin providing vouchers for purchase of produce this year. Hopefully they can show better data from that program, or it will be a huge waste of money. This article also backs up one of my personal opinions: people don’t eat fresh produce because they don’t know how to cook and eat it! 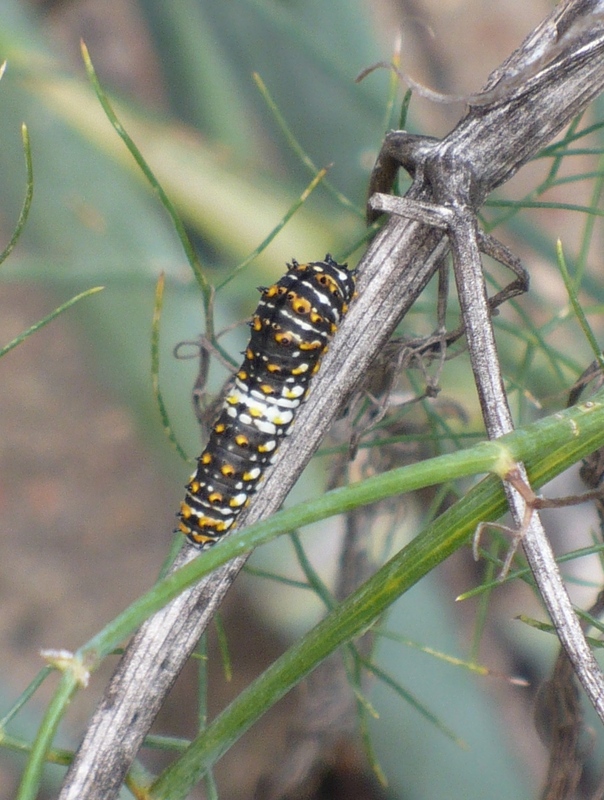 The other link is to a relatively new blog: The Garden Professors. 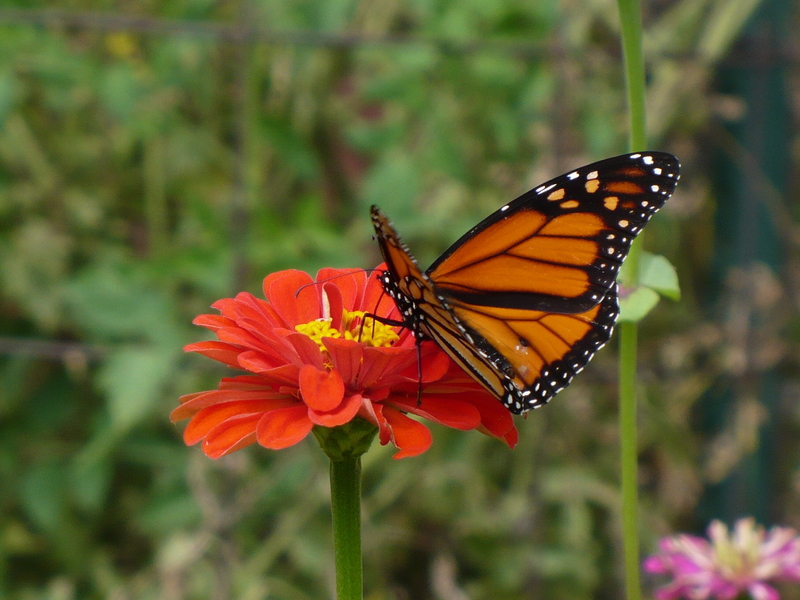 This blog is written by 4 university professors of horticulture from around the country. (I believe they are from Washington, Minnesota, Michigan, and Virginia Tech.) 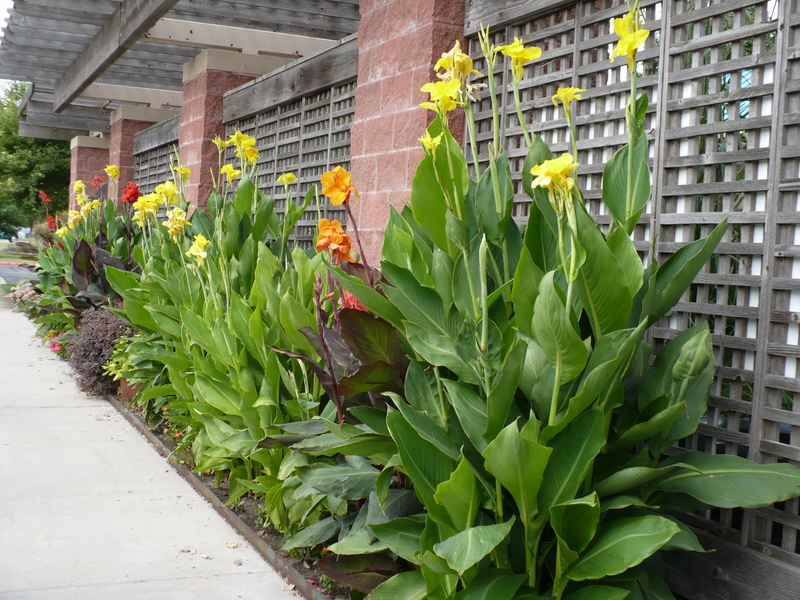 They are covering a wide range of horticulture topics, so check it out! Brr! 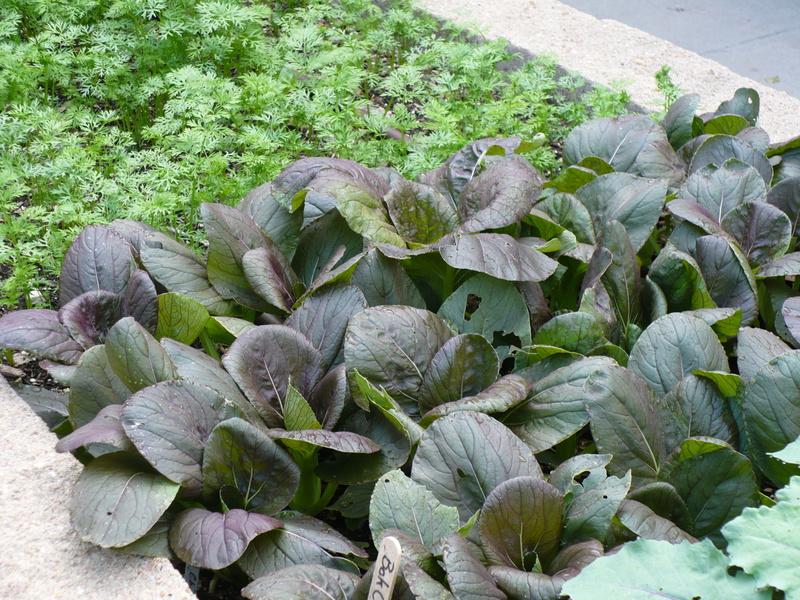 It’s a chilly morning, and things are slowing down in the Demo Garden. Well…the warm season veggies are slowing down. We picked the last of the fall beans and pulled the plants up. The eggplant, tomatoes, and peppers are still producing, but very slowly. I think next week may be the end of the road for many of those plants. On the other hand, the strawberries are looking lush and continuing to flower and fruit. The beets, carrots, Swiss Chard, bok choy, lettuces, and radishes are all growing well, since they love the cooler temperatures! We are about $21 from covering all seed costs (including leftover seeds) as well as the costs of building a raised bed, buying irrigation, row cover fabric, a light stand, pots, and potting soil for seed starting, and fertilizers. We should at least break even on the Family of 4 Garden this year, so in future years we will only need to count the cost of seeds, fertilizers, and other miscellaneous expenses. 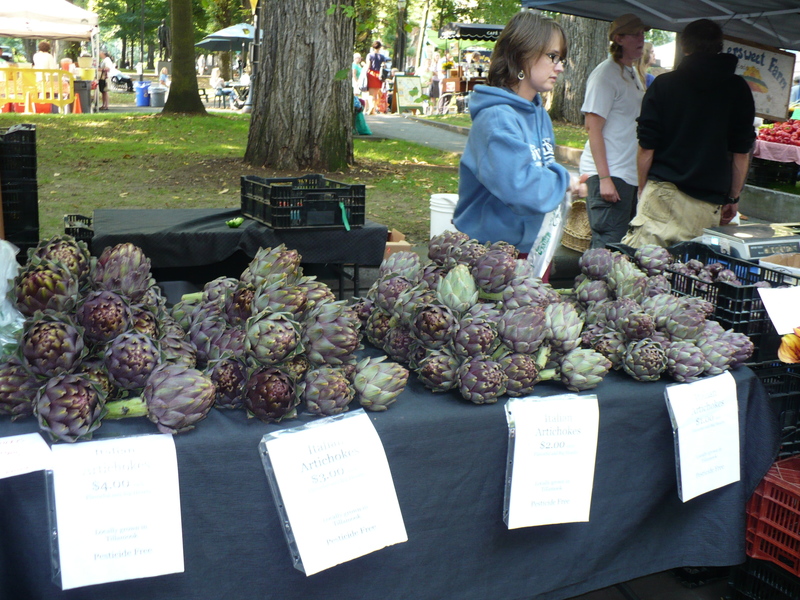 I was in Portland for a conference last week, and I had the opportunity to visit the Portland Farmers’ Market. 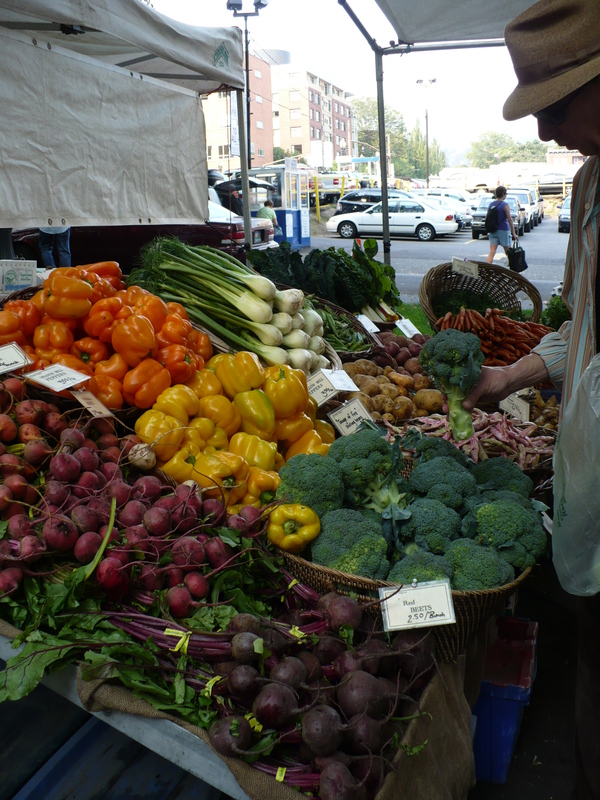 It was absolutely inspiring to see all the gorgeous produce. 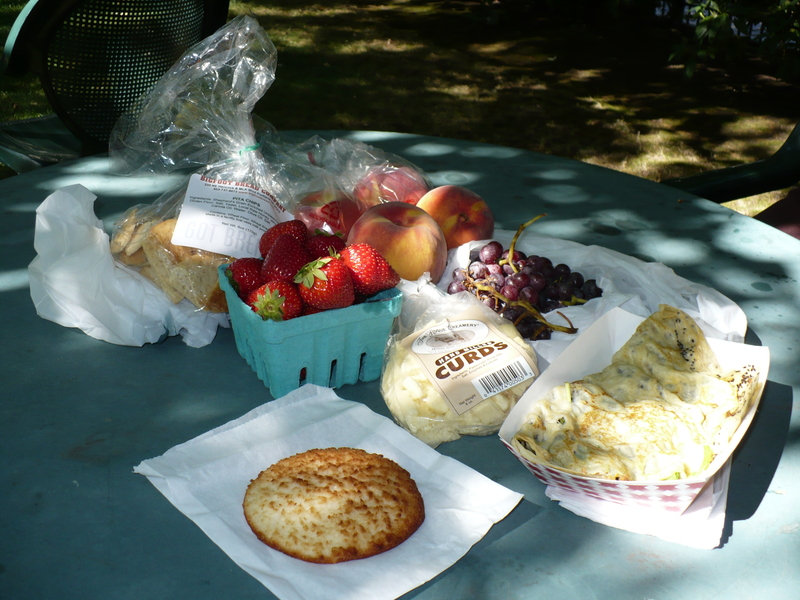 Here is a picture of our scrumptious lunch from visiting the market one day. I’m getting hungry just looking at it. The strawberries are a variety called ‘Albion,’ which is a new day-neutral variety. They were awesome! By far the best day-neutral/everbearing strawberry I have ever tasted. There is still a bountiful crop of peppers and tomatoes, but the cool season vegetables were also looking great. 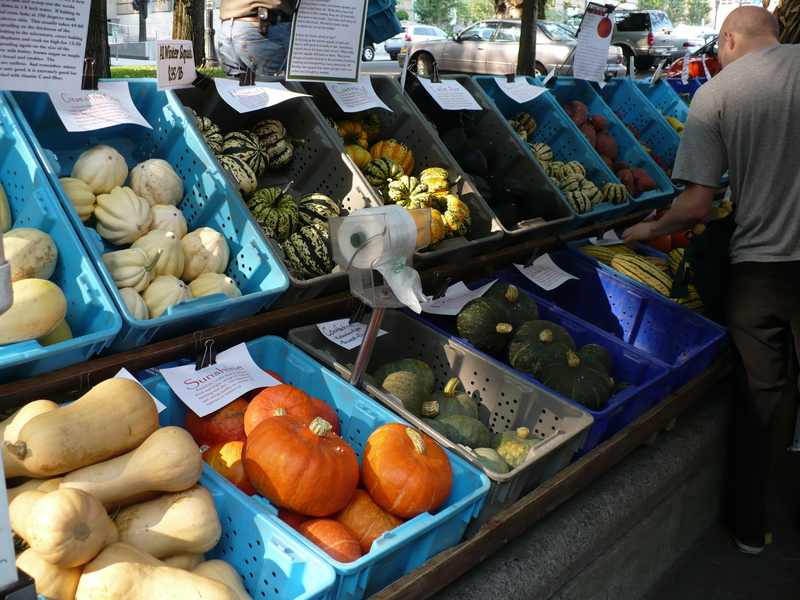 Every shape, size, and color of winter squash imaginable! If you want to try to recreate their salad mix yourself, you can buy seed from Wild Garden Seed. 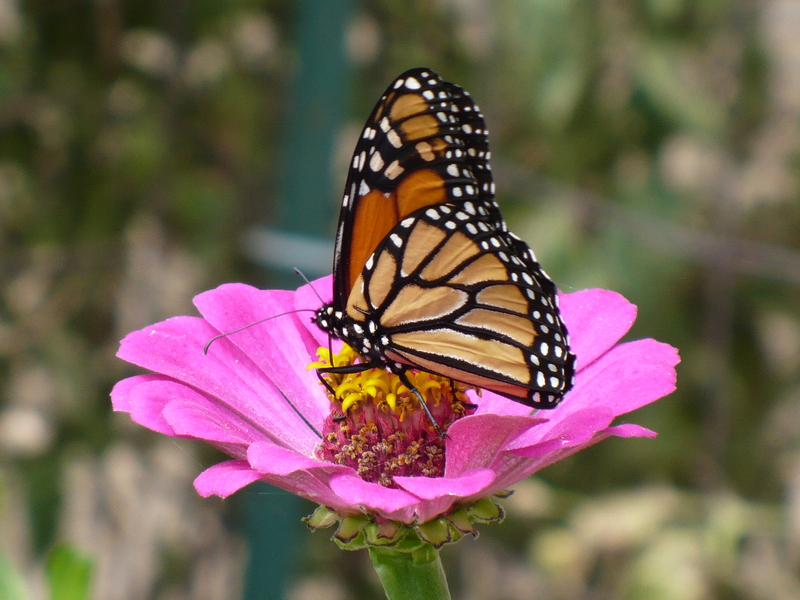 The butterflies are enjoying the zinnias in the garden, so you’ll have to suffer through several butterfly pictures. Hopefully you won’t find it to be too torturous! 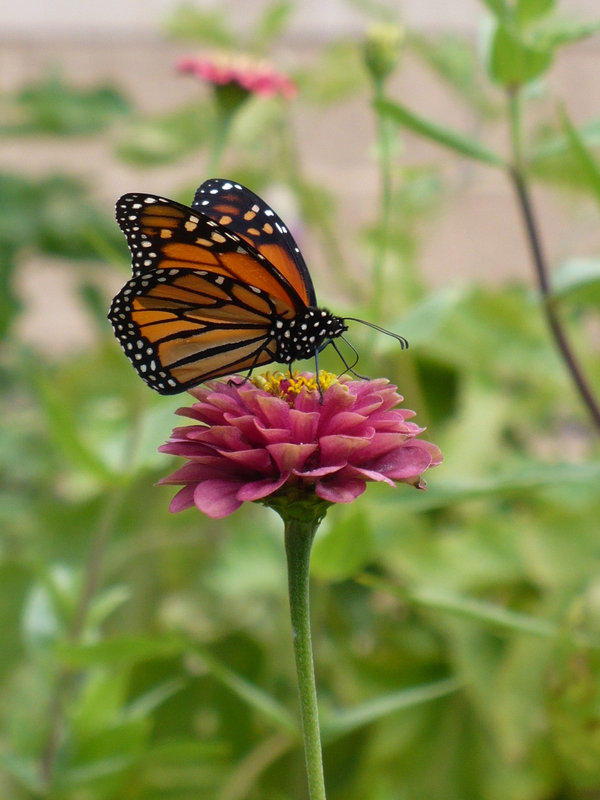 Mr. Butterfly, you kind of clash with your zinnia of choice. I’m SORRY! Geez…you’re so critical! It didn’t seem fair that the butterflies get all the press, when the cannas along the front of the garden are so stunning! 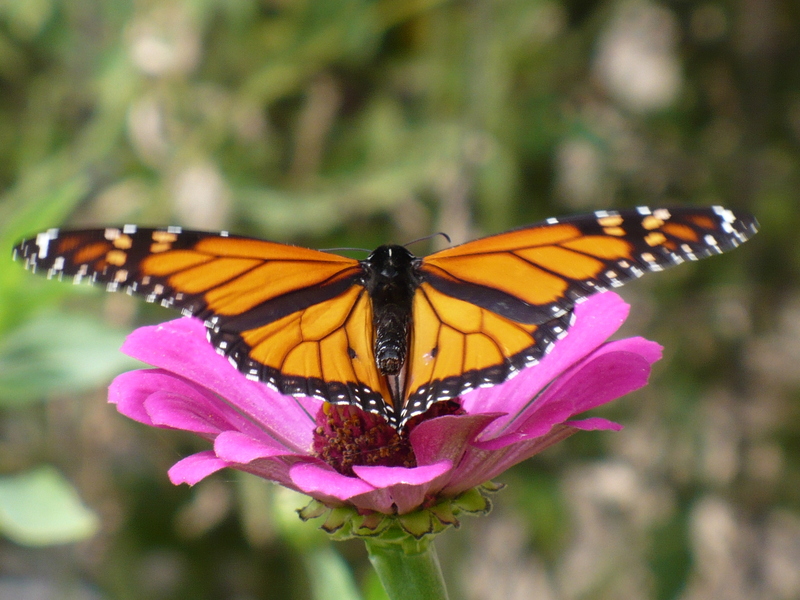 A special thank you to Monarch Z. Butterfly for graciously allowing this photo shoot. Yes, my friends, that is none other than the pesky fungus, Powdery Mildew. This fungus shows up on the leaves first, looking like spots of talcum powder. The disease will eventually spread to the flowers, then kill the plant. 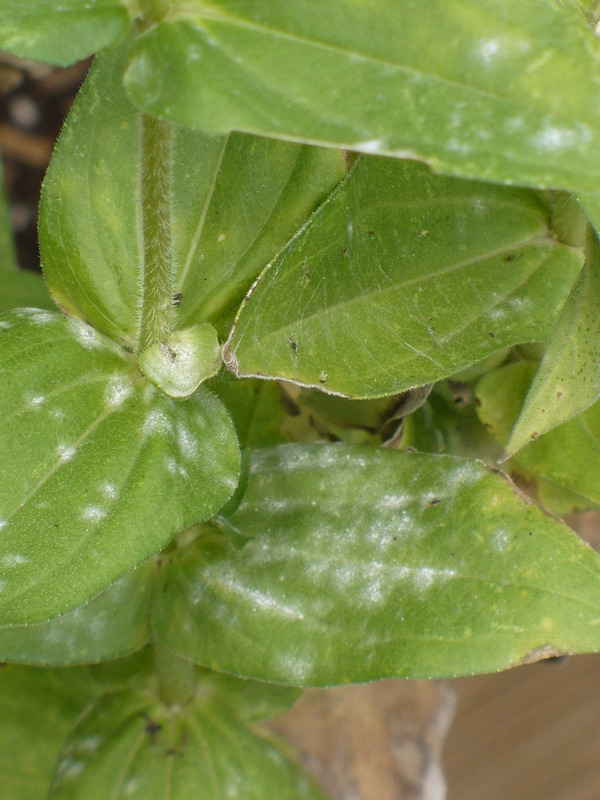 Powdery mildew is particularly fond of cooler, low-humidity weather. That would explain why we are just starting to see it now. If we really wanted to fight the disease in the Demonstration Garden, we could spray with Immunox or some other fungicide. However, we’re near the end of the growing season. It’s probably just as well to let nature take its course at this point. The mildew is showing up on the ‘Benary’s Giant Mix’ Zinnias, which is an older variety of zinnia with no resistance to the disease. You should be able to find zinnias to plant that are resistant to powdery mildew, but ‘Benary’s’ is THE BEST zinnia for cutting flowers. It will be interesting to see if any of our other zinnia varieties end up with powdery mildew.